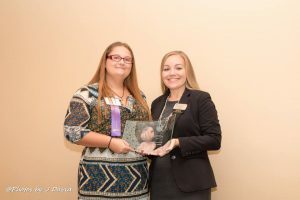 Pasco Kids First nominees Florida Medical Clinic Foundation of Caring and Amber Saxon were awardees at the National Philanthropy Day Luncheon. 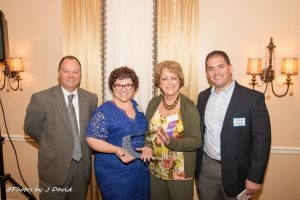 The Florida Medical Clinic Foundation of Caring was named the Philanthropic Service Club of the Year at the Awards Luncheon put on by the Nature Coast Association for Fundraising Professionals. FMC Foundation of Caring was founded in 2005 and has given more than $2,000,000 to 90+ nonprofits and over 1,000 volunteer hours. Since 2005, Florida Medical Clinic Foundation of Caring has strived to make a meaningful and long-lasting impact in Pasco County by providing hope, opportunity and solutions to individuals and families at risk or in need. Monies raised by the Foundation are strategically re-invested in our neighborhoods. They seek worthy causes that address critical needs which are insufficiently supported through other sources. Their motto, “Reaching Beyond Our Walls,” reflects their desire to improve the quality of life for all. Amber Saxon, age 17 and senior at Hudson High School received the Youth in Philanthropy Award. Amber has been a key volunteer for Pasco Kids First for the past several years. She assists at their Mommies, Daddies and Me groups with set up, clean up, serving the meals, arts and crafts and playing with the kids. She is especially vital during big events such as Holiday Groups with Santa and Graduation. In addition to Pasco Kids First, Amber volunteers with SPCA Suncoast and Taste of Pasco to support Leadership Pasco. She is currently learning American Sign Language. Amber feels being involved in so many different community organizations has given her the opportunity to provide needed resources to many non-profits and others to help sustain programs within the community that provides help to those in need.